You don’t know what people are going trough, we need to look after people, check up on them and see how they are doing or if they need help. – we need to be there for people, check on them see if they are ok, if you know someone that is quite look after them find out how they are doing. 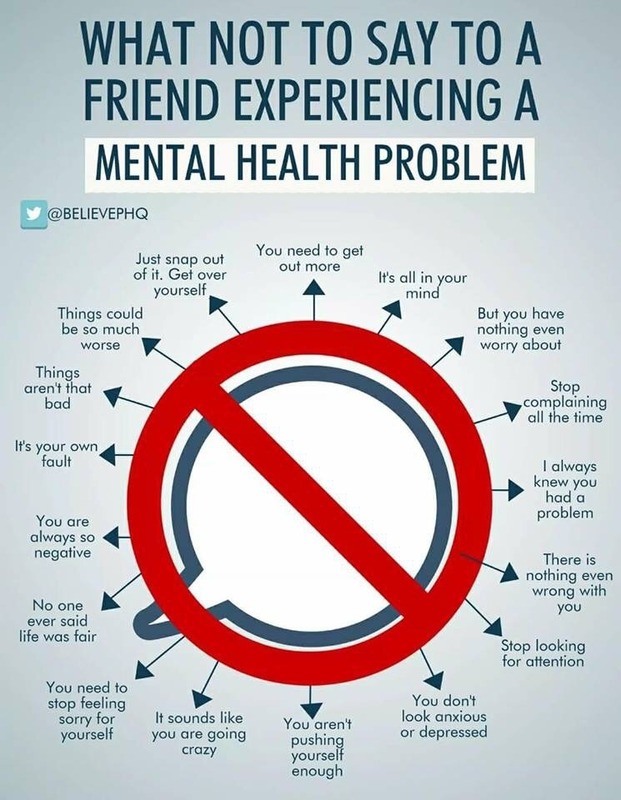 – this is very important, if you need help ask for it, don’t hold back, if you have a problem bothering you, what ever it is i.e bullying, mental health problems ,etc you need to talk about it, don’t keep it to yourself, seek emotional counselling if you need to or talk someone you know and trust, It is ok to be a quite person, whether you are shy person or a introvert be comfortable in who you are, but if you have a problem don’t keep it to yourself. – if you are feeling suicidal you need to talk to someone seek emotional counselling, or check out the suicide prevention services and charities in your area, suicide does not solve anything, it does not make it better, it is only taking you away from the chance of it getting better. we should never be afraid to talk about mental health issues and suicide they are issues that need to be talked about not brushed under the carpet, we should not alienate people who, suffer from mental health issues but help them, we should talk about Mental health the same as physical health. If you are feeling suicidal, you might be scared or confused by these feelings. But you are not alone. Many people think about suicide at some point in their lifetime. Everyone’s experience of suicidal feelings is unique to them. You might feel unable to cope with the enduring difficult feelings you are experiencing. You may feel less like you want to die and more like you cannot go on living the life you have. These feelings may build over time or might fluctuate from moment to moment. And it’s common to not understand why you feel this way. suicide does not solve anything, it does not make it better, it is only taking you away from the chance of it getting better.